AT & T is going to release Sony Ericsson Vivaz on Wednesday. This is a smart phone with 8.1 megapixel camera. The phone has a Full HD video capture feature. The cost of this smart phone is $79.99 only. Sony Ericsson Vivaz is available in two stunning colors red and blue. It is a full touch screen camera powered by Symbian Series 60. AT & T and Sony Ericsson have released a number of smart phones in the market. All smart phones are running successfully all around the world. It seems that Company is playing down the capabilities of its smart phones. The S60 is very closely associated with Nokia. 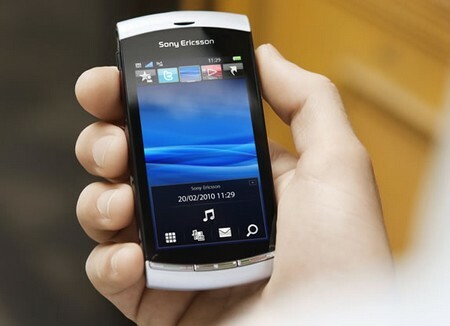 Sony Ericsson has also made a number of interface customization. The phone is equipped with numerous latest technologies and features. The most highlighting features include Wi – Fi and a resistive touch screen of 640 * 360. The phone also includes a GPS system. Stereo Bluetooth is also embedded inside the phone to enjoy the latest trend and music. Voice Recognition feature makes the smart phone more desirable among others. In the modern society, most of the people are connected with social networking sites. If your phone is not capable in accessing social networking sites then it is quite useless. So Sony Ericsson has used built in Social Networking Applications for the convenience of the users. Camera is the main attractive feature of the Sony Ericsson Vivaz smart phone. Its camera ensures the image stabilization feature and smile detection. You don’t have to worry about image clarity. Enjoy all latest technologies with this smart phone at a small cost of $79.99. There is an addition TV out cable available with the smart phone. With the help of this cable you can enjoy the videos back on a Television. There is not any disappointing feature with this smart phone. If you are also planning to buy a new smart phone with excellent feature then wait for some time. Sony Ericsson Vivaz has all necessary features that are required to satisfy the needs of a person. The phone is also good in style and looks. There is a model X10 that was launched by the company seven months back. The phone has some disappointing features but all those features have been eliminated in this new model. Soon the model will be available all around. People are also eagerly waiting for this excellent smart phone in the market.